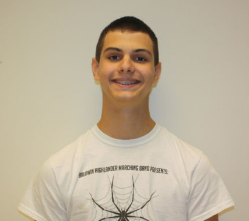 Multimedia Editor Nick Pouch is a senior and in his third year on the Purbalite. He can be found on the boys volleyball team or playing the saxophone in the marching band. He is also a huge Pittsburgh sports fan.